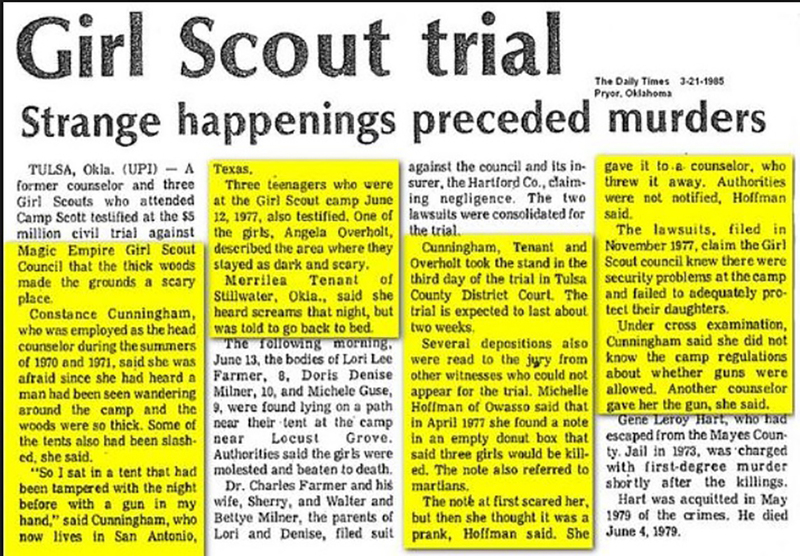 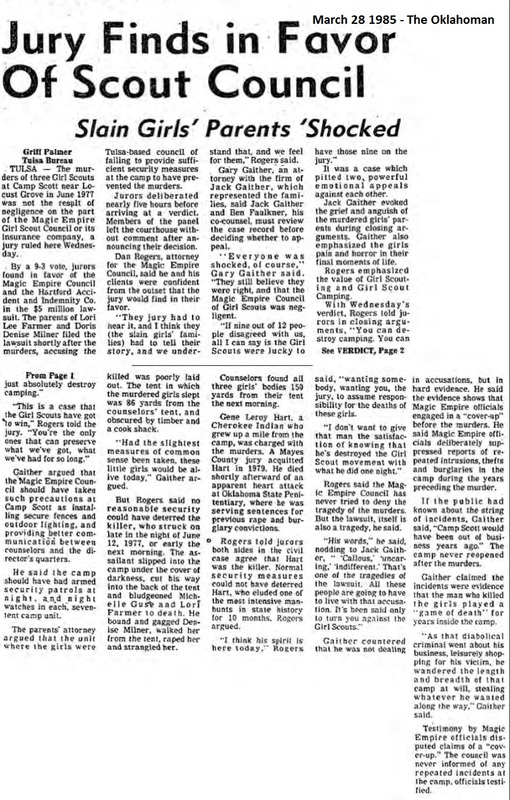 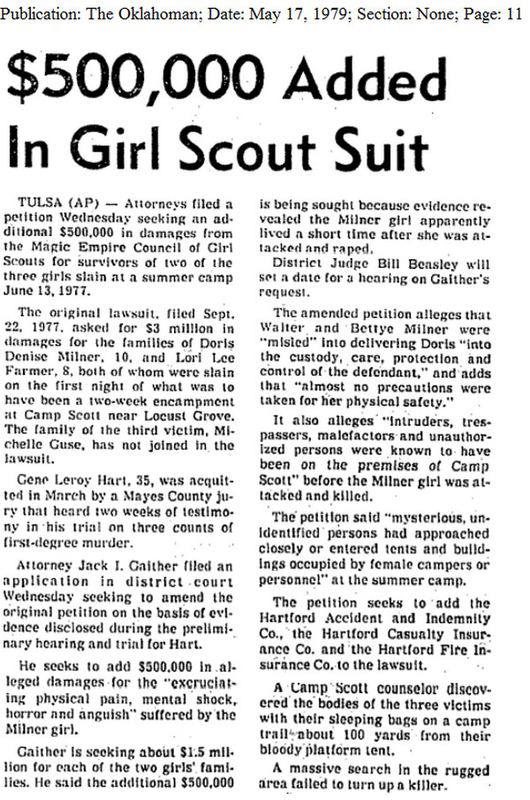 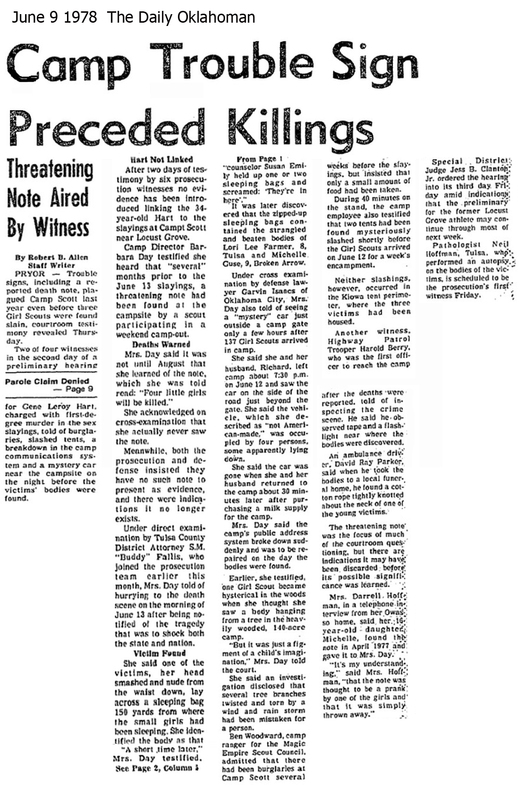 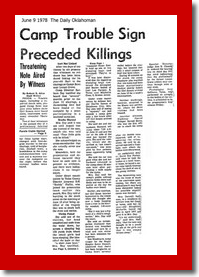 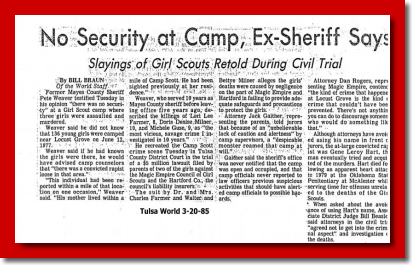 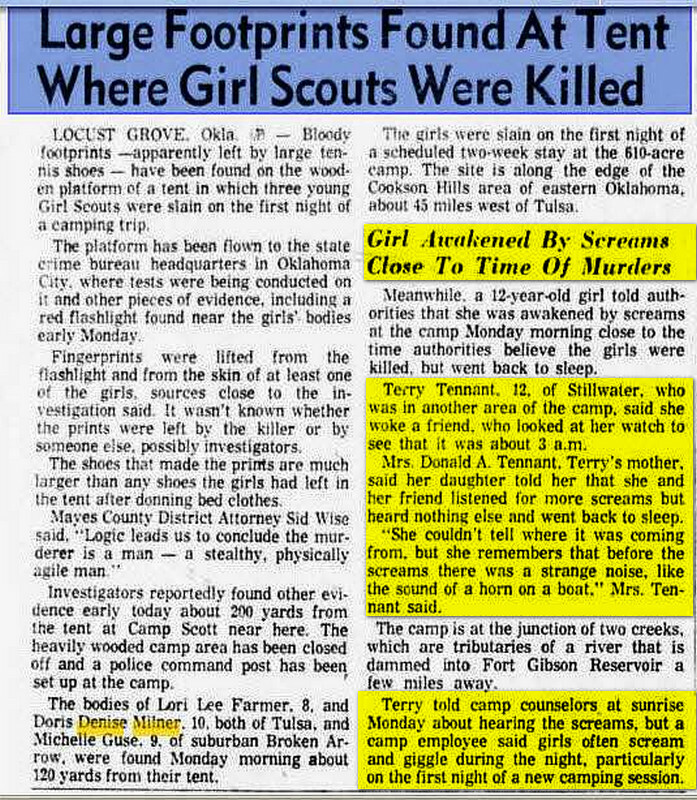 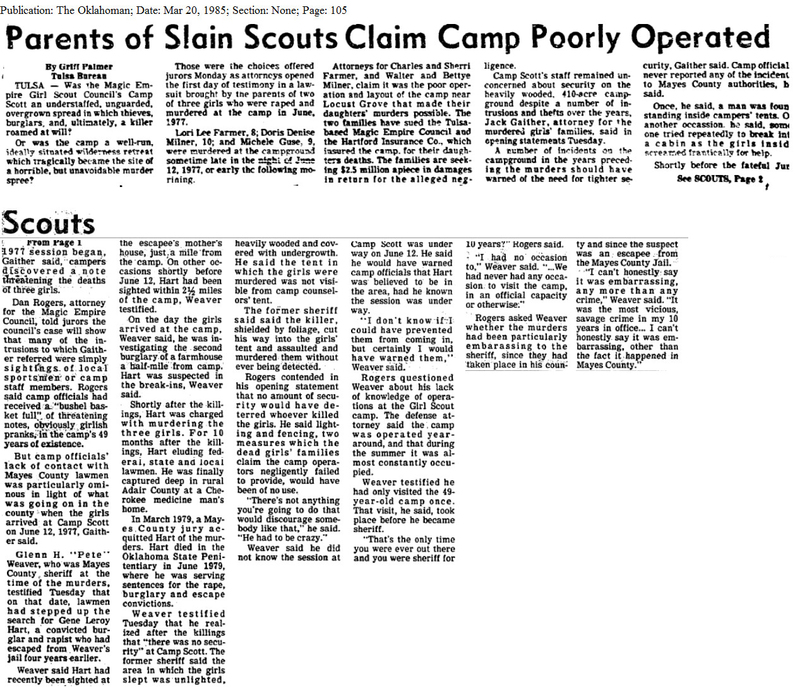 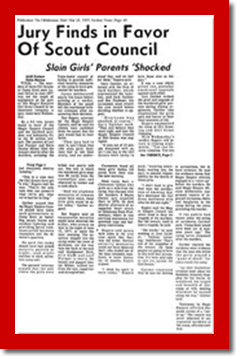 The issue of screams having been heard by campers the night of the murders became a point that the plaintiffs brought out in the civil trial. 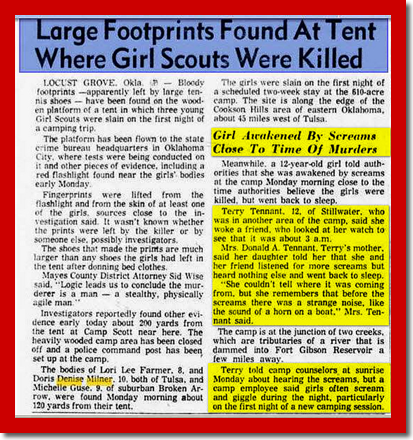 Counselors and camp leaders told scouts that it was only the sounds of girls giggling and yelling on their first night of summer camp. 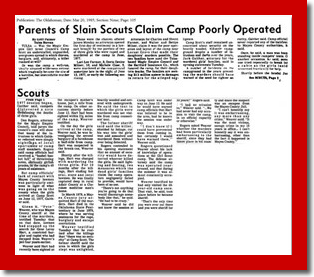 The parents began to show a pattern of leaders at Camp Scott ignoring important reports from campers and asking those reporting the events to keep it quiet. 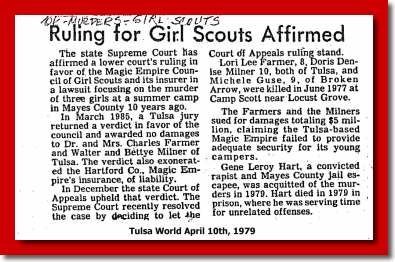 A few months after the murders two of the families sued the Magic Empire Council and their insurance company for negligence. 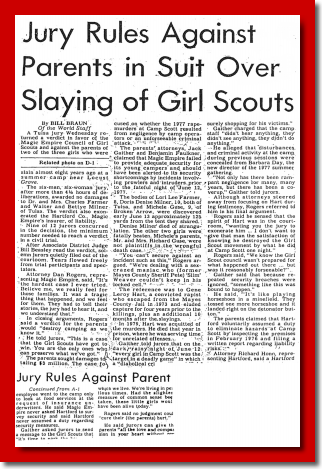 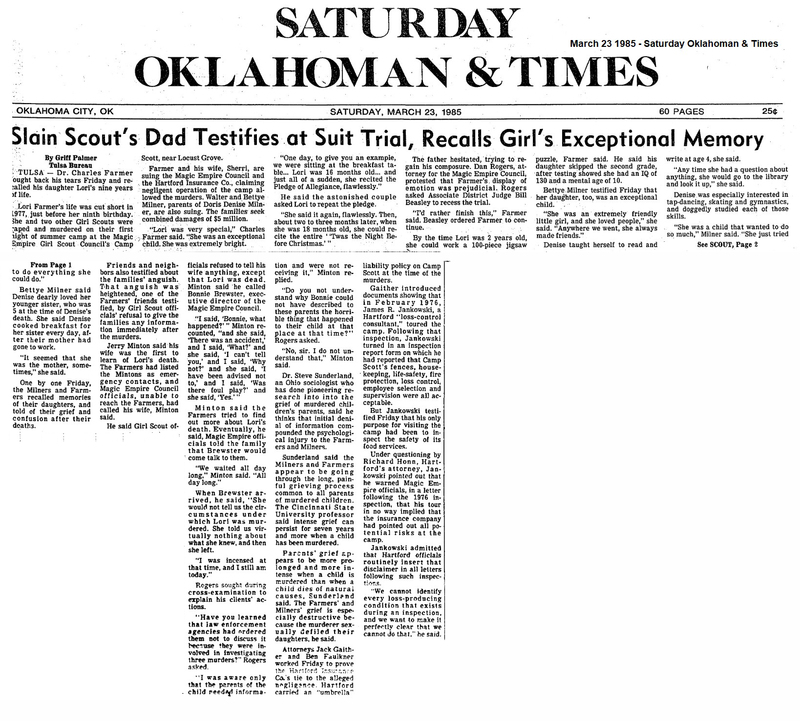 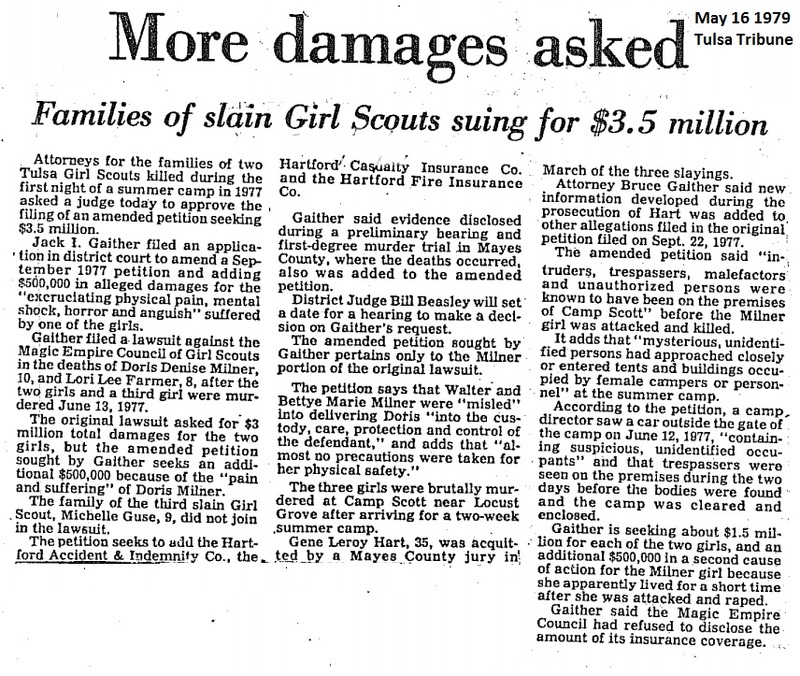 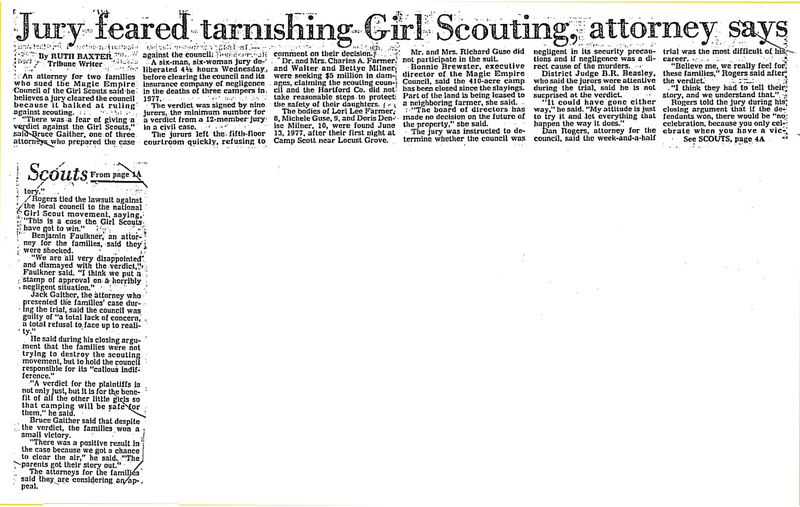 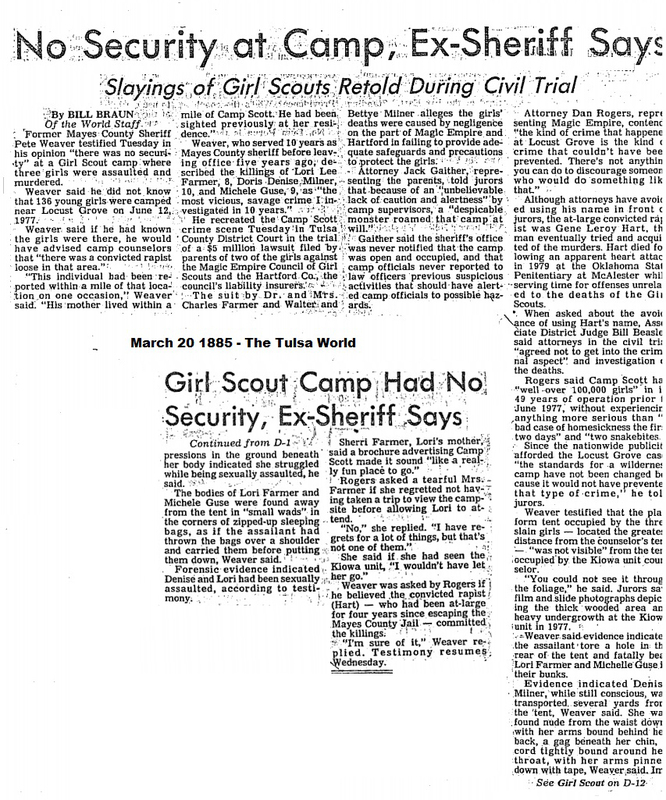 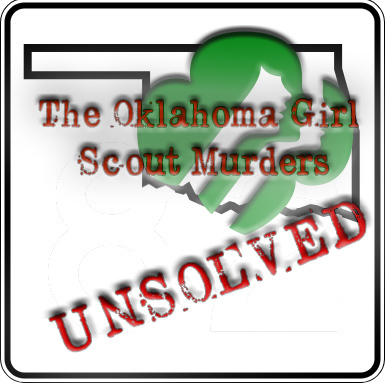 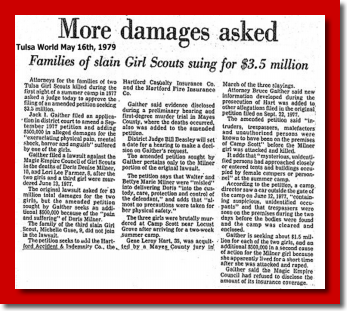 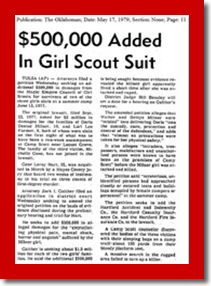 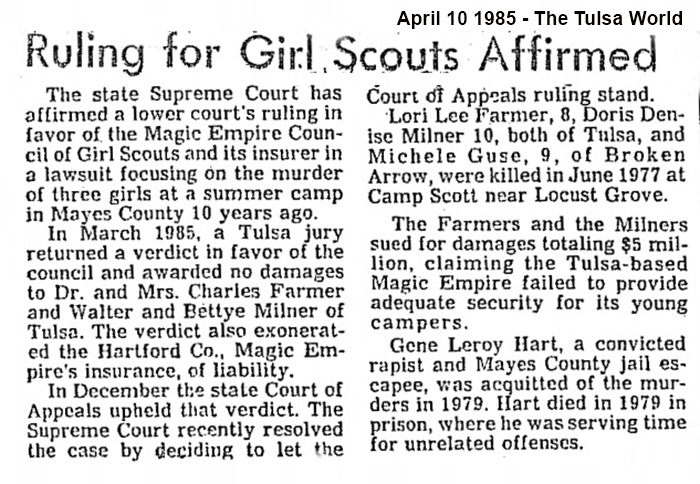 Two separate juries' found in favor of the Girl Scouts. 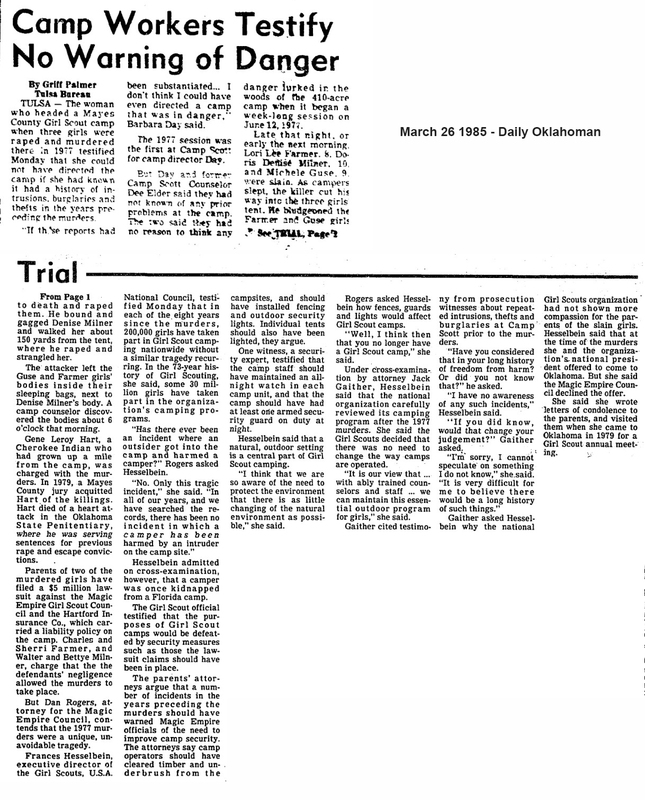 An appeal for a third trial was denied.